A heart shaped pendant necklace with a purple flower design. This beautiful necklace is the perfect statement piece. 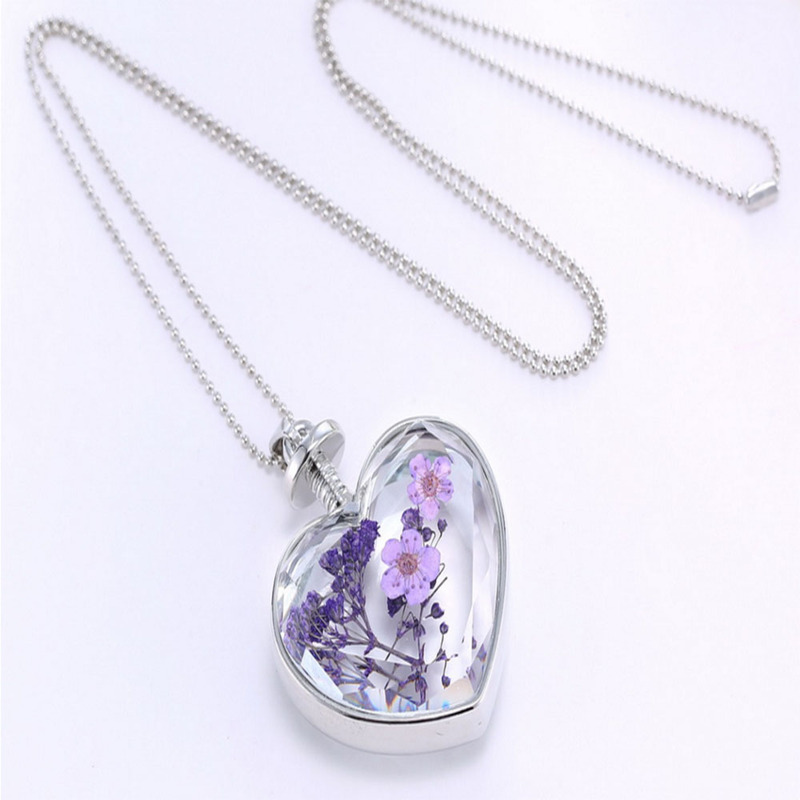 The silver glass heart design pendant is decorated with pieces of purple flowers.